Chillout music is also known as downbeat music and it is a popular music form in various parts of Europe. Here is a list of some of the best known Chillout artists in the business. Massive Attack has been credited as one of the original innovators of chillout music artists. This group is also responsible for helping this music form to become popular. 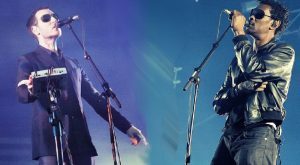 Massive Attack has been around for well over 20 years and they have consistently appealed to new generation of fans since their inception. The Norwegian group Royksopp is a top chillout artist band that has been performing since the late 90s. This group is one of the biggest and best chillout groups in the music field. This band fuses many different sounds together to create their version of chillout music. Apparently, their mixture of sounds works since they are rated as one of the top chillout bands of this era. Simon Green is known as Bonobo and he has been around since the late 90s entertaining the masses with his downbeat music. Bonobo is a classic favorite for chillout artists. 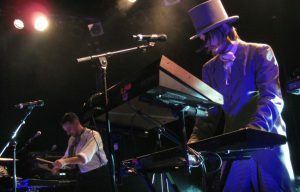 Air is the name of a group that is known for their chillout sound. Air has been performing for years and is one of the biggest acts for downbeat music. Thievery Corporation is a duo who is based out of Washington D.C. They are one of the few American artists that are known for chillout music. This organization blends dub, acid jazz, Indian classical and Brazilian to create their unique sound. Portishead is from Bristol, England and this group has been performing for some time. They are established artists who have impacted and influenced Europe with their original downbeat sound. Portishead is considered one of the biggest innovators in chillout music. Lamb is another English based group that has been creating some chillout hits since 1996. This group has entertained the masses with their downbeat sounds for about 20 years. They are still currently impacting the world of chillout music and are respected artist in their field.